I remember a time in the not too distant past when a lot of people thought that social media was more of a distraction than anything else. Some still do. This is usually people’s reaction to an innovation whose power and potential they are yet to understand. I believe it is safe to say that social media is the next best thing after the internet for human interaction. It has gone beyond just being a social necessity to a ubiquitous tool that has revolutionized the way we conduct even the tiniest transactions of daily life. Mind you, social media isn’t the can’t-do-no-wrong ultimate technological masterpiece. It still has its flaws which are mostly due to the fact that the humans who use it are to a considerable extent flawed. What makes social media so seductive, so irresistible, so compelling that everyone feels that they just have to be on it? It is the sense of power it confers on its user. On social media, what you say gets amplified and reverberates throughout every corner of the cyberspace (which is rapidly becoming every corner of the world). The more that’s said, the more people say it and the louder they say it, the more power it carries (Just visualize social media as a loudspeaker with ‘infinite’ boom capacity). And as they say – “vox populi, vox Dei” meaning, “the voice of the people is the voice of God”…not true but quite close. Oppressive governments (usually undemocratic) have an intuitive understanding of this ‘democratic technology’ so they ban it or try to substitute it for something more censored. Those who didn’t do so had themselves to blame for undermining the threat posed by social media. A typical example is the Arab Springs revolution in the Middle East and North Africa that began in 2010 and was obviously sparked by social unrest propagated on social media. Egypt and Libya are still reeling from its effect as we speak. To have a better understanding of this concept, we must first acknowledge the massive impact of information in human society. Information, not money drive civilizations and any platform that can disperse it at the greatest speed and least cost to the widest audience, will inevitably hold sway over people. Social media appears to meet the above-stated criteria and thus has come to be a near-indispensable entity woven tightly into the fabric of our society. Careful consideration (inspired by a movie – Ex Machina) shows that we don’t just put what we think on social media. Rather, it is a (virtual) place where we exhibit how we think. This sort of puts us out in the open, given the significant amount of time we spend thereon and the sensitivity of the information we share on these platforms. Hence, for you to get the full benefits of social media, you need to be able to absorb the good information out there to your advantage. The exposure social media gives, is a major loophole which can be exploited by anyone that knows his way around the cyberspace. This makes us uncomfortably visible to an almost variety of audiences across the world. Companies and criminals mine information about people without their knowledge based on their behaviour on social media, thereby turning private data into commercial entities. Again and again, we see that the issue of privacy taking centre stage in internet matters…one less thing to like social media for. It is also this all-reaching, mass-influencing capacity of social media that makes it dangerous in the democratic context. What I mean is that hyper-liberal policies which could be detrimental to the society, in the long run, can be pushed and propagated on social media. It is no longer news that ISIS, a terrorist group recruits for its heinous cause on social media. The flexibility of most social media frameworks makes anonymity and false identities which are choice tools for criminal activities easy to use. On the other hand, companies and highbrows also use it to source for intelligent and witty brains capable of providing the services or soft skills they are in search of. This implies that, if we must react to or comment on a particular post, do it professionally and prudently. Of course, a prime detriment of social media is ‘att(dist)raction’ that quickly burgeons into addiction. To make matters worse, it creates this illusion of community by an unhealthy emphasis on connectivity. Mind you, not the real kind but that nasty slavery to the few square inches that make up the screen of our devices. I suppose that our digital ‘Windows’ (pun intended) have enchanted us so successfully that we make no meaningful attempt to approach the door. However, there is no stopping this boat, it can (and should) only be controlled. I think as young people, we ought to take a cue from how the powerful and promising technologies of the past have been derailed by mankind to meet selfish and destructive ends. The future is ours to make but it only gets made today. There’s little or nothing we can do about yesterday. Anything we have not learnt to live without is a potential tool for taking us hostage. Also, in our choosing to be ‘free’ from our gadgets, we make it a little more likely to be caught napping if the touted Robocalypse, real or figurative occurs. We are creatures of time, severely limited in the duration of our earthly lives. Whatever does not extend the duration of our lives or multiply the impact we are making, in a short time, is an instrument of destruction to mankind. Ultimately, it boils down to choice; a choice not just for ourselves but critical, future-shaping decisions that will determine the destiny of humanity. So, in your choosing, choose life. Only be addicted to or dependent on the good side of the internet. Make some impact while you can. I recently joined Medium and I’m hooked! I even downloaded Quora and StackOverflow. For those who see where I’m going, similar platforms are Github, Reddit. Even simple Pinterest falls perfectly in line with this not so new but still emerging trend of online community-based learning. For me, this is not just an offshoot of Social Media. I consider it a major phase in the evolution of Social Networking. This particular brand (which I call Social Learning or Cyberformal education) is the result of the explosive mixture of the vast and jumbled resources of the internet. Worldwide connectivity (‘virtual omnipresence’), man’s insatiable desire for knowledge & improvement and leverage on figures make the use of the internet continuously relevant. On the first note, the internet is like a virtual version of outer space. It appears to be endless and without some kind of guidance and navigation, we would often be lost than found when seeking information on the internet. There is no ‘North Star’, no ‘Orion’s Belt’ or magnetic orientation in cyberspace. Just an endless stream of digital matter that is all too welcoming for a digital Odyssey. These scattered nebulous matters all over the cyber-universe and are bright enough to light up the clueless traveller’s path. They form by clustering around a comprehensive idea. A progressive intent that gradually crystallizes into a cohesively defined structure. You can leverage on this to build a solid information base that knows no national or continental boundary. Unlike the conventional nebulae that form from the explosion of a Star, these cyber entities actually start out as insignificant specks. They reflect the universal body of knowledge along the same direction and form a galaxy of radiant stars, given appropriate coordination. Enough meandering around analogies. These Cyberformal learning platforms help streamline information and resources that one might need in a particular field of interest. A common caption some of these resources carry is this – “from zero to hero in…”. They are usually well within that general sphere of capability. These platforms are also redefining learning, reinventing schooling and giving organized educational institutions a run for their money. Smart institutions have diverted resources into establishing and asserting their presence on this type of platforms. 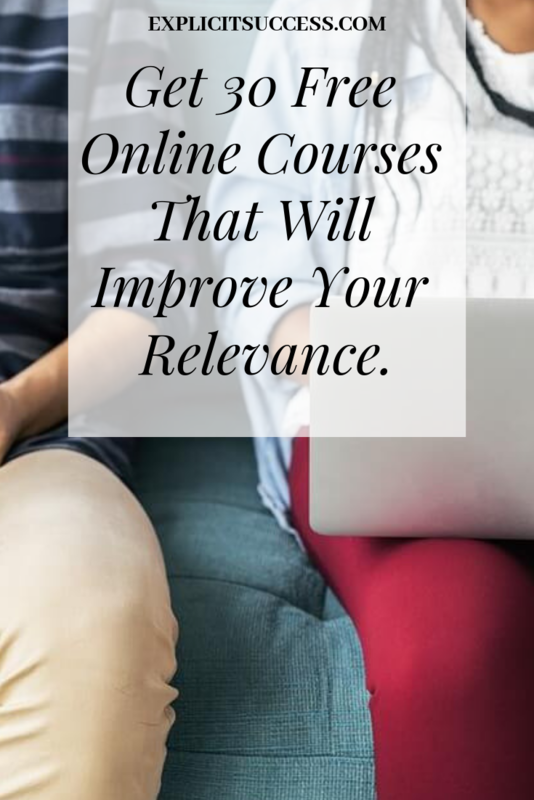 These include edX, Udemy, Coursera and so on where Ivy League schools and their peers offer the content of their course outlines either for free or a token amount. These are MOOCs – Massive Open Online Courses. With these opportunities, an apparent decentralization of academic clout where the competence gap between an Ivy League graduate and a Third World enthusiast is certain. Most disciplines that have really benefitted from this initiative are Computer Science related fields. These require little or no laboratory work. The best you can get as regards lab work are video demonstrations. The actual experimentation may still be impractical due to financial and environmental constraints. All the participant needs, is his/her computer system, stable power supply and fair internet connection. The supply of these is improving in Africa. This gives us a chance of catching up with the rest of the world in the Fourth Industrial Revolution. Here again, we see the internet acting as an opportunity leveller by facilitating mechanisms for ensuring skill equality. The beautiful thing about space exploration is that no one has been there before. As a result, everyone can only guess or imagine what we might find. In the same way, opening up the channels of learning presents prospects and opportunities for discovery and invention. So, you see that we are redefining the concept of educational opportunities. In fact, the word ‘opportunity’ in the foregoing expression is a substitute for ‘opening’, as in the educational opening. In this sense, I mean the access to quality educational materials is no longer a matter of privilege. It is now of pervasive access. To conclude, my parting advice to you is this. Why don’t you shave off a sizable chunk of that social media fun time? You should invest it in online educational communities and personal development platforms. It may be boring initially. You’ll be amazed at how much fun and motivation for improvement you’ll find on these cyber classrooms. Capping it with our interstellar analogy; it is difficult to hang out in nebulae and not emerge as a star. Now, let me ask you. What other advantages of social media have you benefitted from? Let’s hear from you as you drop it in the comment section. Great post, enjoyed your information. For me social media keeps me current with what is happening in the world and allows me to discern between the lines of the official news outlets. Glad you enjoyed it. Thanks for reading, Gunning. This is very thorough and you have some great points about the impact of social media. Thanks for sharing! Amazing post! I use social media for multi-purposes too but I never knew there could be so many benefits to it. I’m glad you learnt some things, Malvika.